Relationships is the struggle that everyone walking this earth has. There is no one that has it down pat. There are so many different types of struggles that most never express to their friends or partners. Whether therapy works or not is like posing the question, does medicine work? I explain to people who call me, in answer to an opening question, how much do you charge,” that the question signals that these callers believe that all therapy is alike. Nothing could be more false. 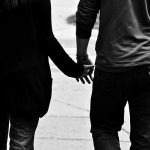 Relationship Problems And What Do You Do? Both questions are important. However, the MOST important question often isn’t asked which is “how can you help me”? The first two questions imply that all therapy is the same and all therapists are the same. This could not be further from the truth. There are many people in all kinds of professions who use buzz words to describe what they do while, in fact, not doing that manner of work at all.